Learn about Luther's student population as a whole, its diversity, and international students. Luther encourages diverse employment. Learn more about faculty diversity relating to gender and race/ethnicity. The community of Decorah, Iowa is dedicated to providing resources to support people from all backgrounds. Luther offers a wide range of resources and events to support diversity on campus. Located in the vibrant town of Decorah in northeastern Iowa, Luther is an undergraduate liberal arts college affiliated with the Lutheran Church (ELCA). In fact, as a community, we see diversity as essential to learning. It stimulates new questions and perspectives by challenging accustomed ways of thinking and responding. Moreover, students equipped with knowledge gained through their experiences in a diverse learning environment will be better prepared to respond to the complex challenges of living in contemporary societies, whether in the U.S. or abroad. 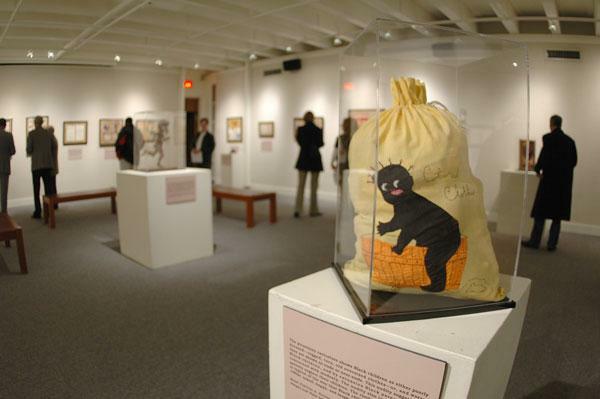 "Hateful Things" is a traveling exhibition from Ferris State University’s Jim Crow Museum of Racist Memorabilia.